I’ve dreamed of being a writer for as long as I can remember. When I was a child, most of my friends idolized actors and singers, but I always admired writers and wanted to be one of them. As a kid, I “published” a little handwritten newspaper using carbon paper (truly old school!) that I sold for a nickel. I began writing stories in elementary school. In high school, I dabbled in poetry and was on the staff of the literary magazine. I minored in English in college and concentrated more on journalism after I graduated. But I never really had the time to pursue writing seriously until I retired and my kids were grown. I’m so blessed to have finally had my childhood dream come true! 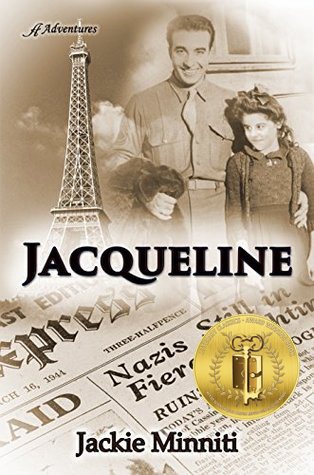 Jacqueline was inspired by an experience my dad had while stationed in Rennes, France with the 127th General Hospital shortly after D-Day. A little girl named Jacqueline, who lived near the barracks, began following him to and from the military hospital where he worked as a pharmacist. A beautiful friendship blossomed, and when the 127th was transferred to another city, my father promised her that if he ever had a daughter, he would name her Jacqueline. This was the only war story Dad was willing to share, and it became part of our family lore. WHAT IS YOUR FAVORITE LINE FROM YOUR AWARD WINNING BOOK AND WHY? My favorite line is from the epilogue when a grown-up Jacqueline is reminiscing with Bernardo about the people they knew in Rennes during the war. Bernardo says, “We must never forget what they sacrificed to give us the world we enjoy today. Some, like your father, gave all, but all gave some.” This is one of the core concepts I want young readers to take from the story. WHICH OF YOUR CHARACTERS FROM YOUR AWARD WINNING TITLE DO YOU BELIEVE ARE MOST LIKE YOU AND WHY? I like to think there’s some of me in Jacqueline. We share a certain feisty quality, and we’re both a little stubborn. We want to do things our own way, and we’re both animal lovers. But I think she’s a lot braver than I’d be if I were in her situation. The thought of being in a dark cellar with bombs falling overhead terrifies me! 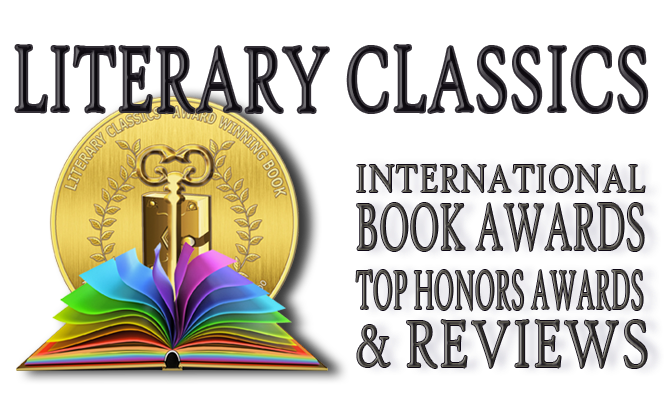 WHAT MESSAGE DO YOU HOPE READERS WILL GLEAN FROM YOUR AWARD WINNING BOOK? One of my primary reasons for writing Jacqueline was to help young readers learn about the sacrifices made by the veterans of the Greatest Generation to safeguard the freedoms they now enjoy. With the emphasis on “social studies,” history has taken a back seat. I believe that those who don’t learn from history are doomed to repeat it, so I hope Jacqueline will help keep that from happening. I also wanted young readers to get a feel for what life is like in a country where freedom is limited by an overarching government. Maybe it will help them appreciate how fortunate they are to live in America. When I was in the process of submitting Jacqueline to publishers, I became very discouraged.After many rejections and a few near misses, I finally decided to let go and let God. Soon after that, I got the call from Anaiah Press offering me a contract. I was over the moon! I began researching Anaiah and was curious about the name. I discovered that Anaiah is Hebrew for “God answers.” That really gave me goosebumps. I can’t narrow it down to just one, but I admire Stephen King’s mastery of story, J.R.R. Tolkien’s ability to create a sense of place, Ray Bradbury’s use of figurative language and Maeve Binchy’s warm, memorable characters. I like to think my writing has been influenced by all of them, but I think writers are influenced on some level by every book (good or bad) that they read. Ray Bradbury’s Dandelion Wine. It’s a beautiful little coming-of-age story set in a kinder, gentler time. I first read it in middle school, and I fell in love. It was the first book that truly transported me to a different place. It was magical, and I wanted to create that kind of magic. I adored Bradbury’s lush, descriptive writing and started writing short stories in the Bradbury style. I reread Dandelion Wine every few years, and the story never gets old. Depending on where I am in my life, I see it in a new light. Even though Jacqueline is my second novel, I consider it my greatest literary accomplishment. It’s my first traditionally published book, and that means a lot to me. And since this was a story my dad had been asking me to write for years, putting the book in his hands on his 99th birthday was one of the proudest moments of my life. He passed away 7 months later, and I’m so grateful that he had a chance to read it and I have that moment to remember. It's not really a ritual, but I’m NOT a morning person, so I get my best writing done in the evening when everyone’s asleep (including our macaws) and the house is quiet. This seems to be the opposite of what most writers do. 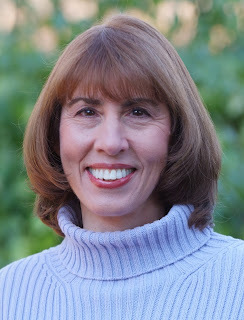 Since Jacqueline’s faith was an important part of her life and a subtext of the story, I decided to submit to faith-based and Christian publishers. I got a few nibbles, but when Anaiah finally offered me a contract, I knew Jacqueline had found the perfect home. My experience with them has been wonderful! WHAT DID YOU DO TO CELEBRATE THE PUBLISH DATE OF YOUR AWARD WINNING BOOK? On the day Jacqueline was published, I received a gorgeous floral arrangement from my children and grandkids. That evening, my husband took me to my favorite restaurant for dinner with some close friends, and we toasted the event with champagne. It took a full, grueling year of query letters, rejections, and near misses before I landed the contract with Anaiah. When I was going through the submission process, I’d often get discouraged and wonder why I was putting myself through this instead of walking on the beach. But it was worth all the frustration and stress to finally hold that published book in my hands. So don’t give up. Keep writing. Develop a thick skin, believe in yourself, and someday you’ll get there too. Never underestimate the power of social media. I spend a lot of time on the computer promoting both my books. It also helps to have a good publicist. Someone with contacts can open doors that you never knew were there. Not many people know that the soldier on the cover of Jacqueline is my father, and the little girl is the real Jacqueline. Since we were unable to locate her to obtain permission to use her likeness, the cover artist photoshopped her face out and replaced it with mine from a photo taken when I was Jacqueline’s age. So the cover has a special meaning for me. I’m toying with the idea of a middle grade historical fiction set in Boston during the Revolutionary War. It’s currently in the planning phase. I’ve done some research, and have a very rough outline and some ideas for characters. I’ve been playing with several plot lines but that’s about as far as it’s gone. I plan to visit Boston to do more research. I’m hoping that will give me the inspiration I need to start writing.